I trained in Sheffield and started my career specialising in Cardiology and A&E. I pursued a career in Advanced Practice initiating a new service within Sheffield Teaching Hospitals known as Hospital at Night, covering acute medicine and surgical specialities. 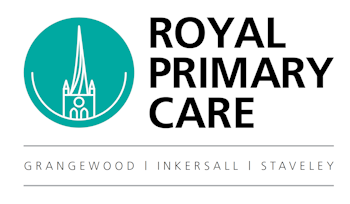 I left secondary care to commence a new career in Primary care and began working for RPC in 2017, where I happily worked for a year as a locum ANP, I was then lucky enough to be asked to join the team on a permanent basis earlier this year which I happily accepted. Nicola Else, currently practicing as a Nurse Practitioner while studying at the University of Derby for a Masters in Advanced Clinical Practice. Nicola qualified as a nurse in 2011 and began her nursing career in secondary care on an acute medical ward, specialising in respiratory medicine. After three and a half years, Nicola was ready for a new challenge and made the move into Primary care to work as a Practice nurse and attended DeMontfort University to study for a degree in Practice nursing. In 2016 Nicola began the three, year course at the University of Derby and has completed three modules at master’s level. Nicola has an interest in respiratory medicine and skin conditions.